This ended up being more about shading than negative space, I think. Typical for me, lol! 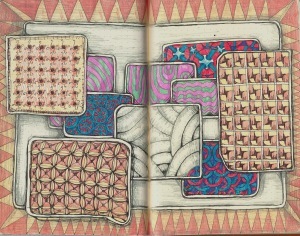 See what other the other 10 swappers are doing in their journal at the Rhodia Journal Swap on Tumblr.